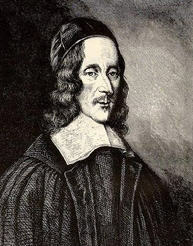 “And all this he doth, no as out of necessity, or as putting a holiness in the things, but as desiring to keep the middle way between superstition, and slovenliness, and as following the Apostle’s two great and admirable Rules in things of this nature: The first wherefore is, Let all things be done decently, and in order: The second, Let all things be done to edification (1 Cor 14:26-40). For these two rules comprose and include the double object of our duty, God, and our neighbor; the first being the honor of God; the second for the benefit of our neighbor”. For more on these precepts and their relation to primitivism, see this earlier post. This entry was posted in CPW, RPW. Bookmark the permalink.